The Knax coat and hat racks designed by Harrit & Sørensen are a space saving and good looking design with the hooks springing back when not in use. The front is made from a single piece of solid wood meaning the grain pattern always follows through. 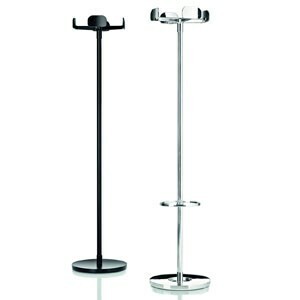 The hooks are aluminum, the floor standing version is suitable for homes and offices. 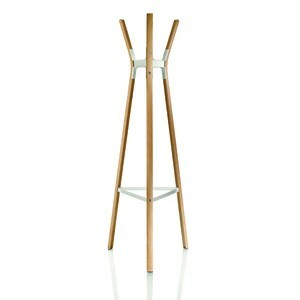 Available in Oak and Walnut.